Were you planning on surprising mom with a new flagship smartphone this weekend? How about surprising yourself with one as well? 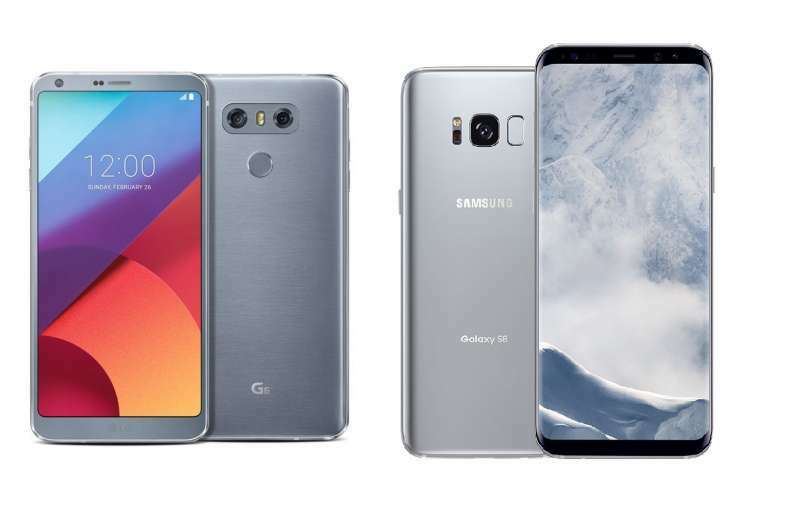 Currently, T-Mobile, in partnership with Samsung and LG, is offering buy one, get one free deals on both the new Samsung Galaxy S8 as well as the LG G6. For the Samsung Galaxy S8, simply purchase two Samsung Galaxy S8 devices on a 24-month EIP and add a new line (T-Mobile ONE or Simple Choice with High Speed Unlimited Data). Then, simply head over to T-Mobile’s promotions site to submit a rebate request using the promo code 17SAM8BOGO. Within 6-8 weeks, you should then receive a prepaid MasterCard for $750, which is the full retail price of a new Galaxy S8. Total cost for the two Samsung Galaxy S8 devices will be $1500 + taxes – $750 rebate in 6-8 weeks. Those who want to purchase a Galaxy S8+ will also qualify for the rebate, but the rebate is capped at $750, so you’ll have to shell out an additional $100. More information is available via the T-Mobile website here. For the LG G6, simply purchase two LG G6 devices on a a EIP between May 10, 2017 and June 8, 2017. Then, simply complete the LG G6 rebate form before July 8, 2017 at 11:59:59 PM ET. You will then receive an electronic eCheck for $500 within 6-8 weeks. Total cost for the two LG G6 devices will be $1,000 + taxes – $500 rebate in 6-8 weeks. It appears that LG has ended their rebate offer a few weeks earlier than expected. Those who purchased a LG G6 between May 10, 2017 to May 15, 2017 will still qualify for the buy one get one rebate deal, but new purchases after May 15 will no longer get the rebate.